TotalWeb Partners launched a new website for a Michigan-based manufacturer of gas detection and monitoring instruments. 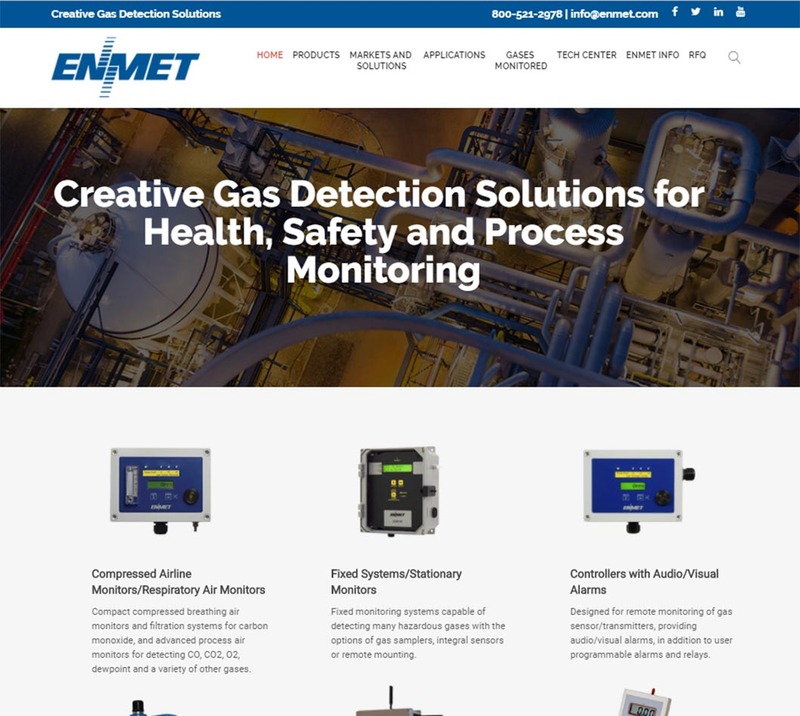 ENMET is a company based in Ann Arbor, Michigan that designs and manufactures a variety of instruments for monitoring and detecting hazardous gases for a multitude of industries. TotalWeb worked very closely with the customer to create a modern, responsive and effective website to broaden their audience and reach as many potential clients as possible. The site has a responsive design, a large RFQ-based catalog, SEO-driven content, industry articles, and a monthly newsletter (written by the customer). For each product, the catalog features rich, high definition images, specifications and highlights, dimensional drawings, product literature, and a list of accessories. In addition to the catalog, the site has a comprehensive tool that recommends products based on what gases the user needs to monitor for. The user selects the gas, is provided relevant monitors for that gas, and can then go directly to the product page and request a quote.